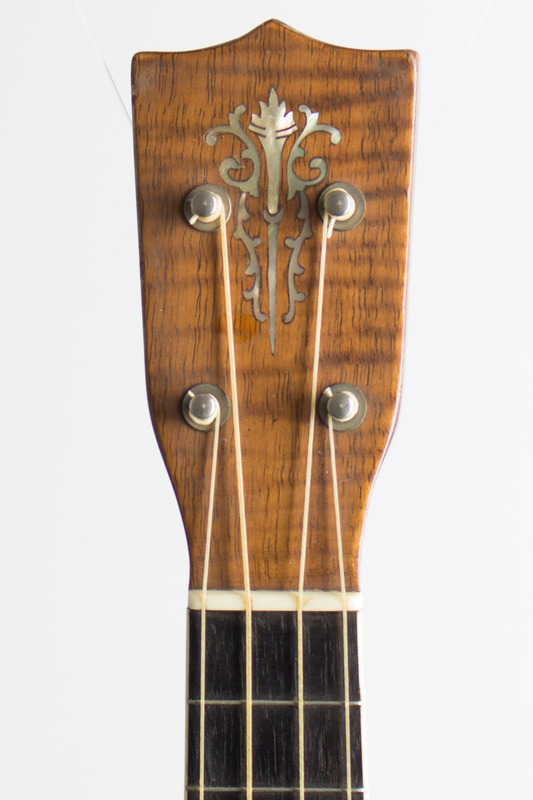 C. F. Martin Style 5K Model Soprano Ukulele, c. 1924, made in Nazareth, PA, natural varnish finish, koa body; mahogany neck with ebony fingerboard, original black hard shell case. 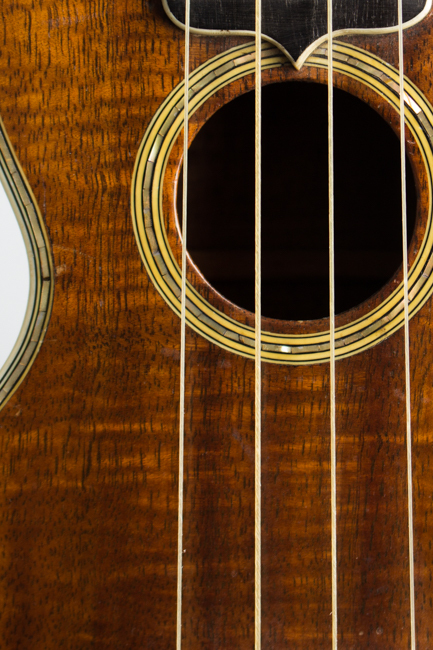 The "Uke of Ukes"; the "Holy grail of Ukulele collecting" -- the Martin Style 5-K has been called many things. 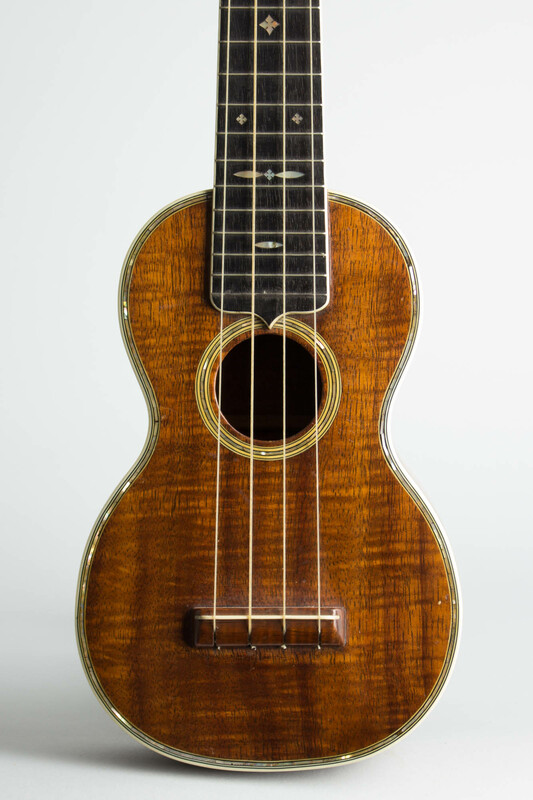 This was the most expensive ukulele Martin made, listing at $50-$55 (without case) in the mid-1920s. This sum would have bought quite a respectable guitar from Martin or Gibson, or anyone else for that matter! Built of the finest elaborately flamed koa with lavish pearl inlay and binding on the top, back, and sound hole, the 5-K is a sparkling Faberge Egg of a musical instrument. This is also a very fine-playing ukulele, suitable for any musical style. 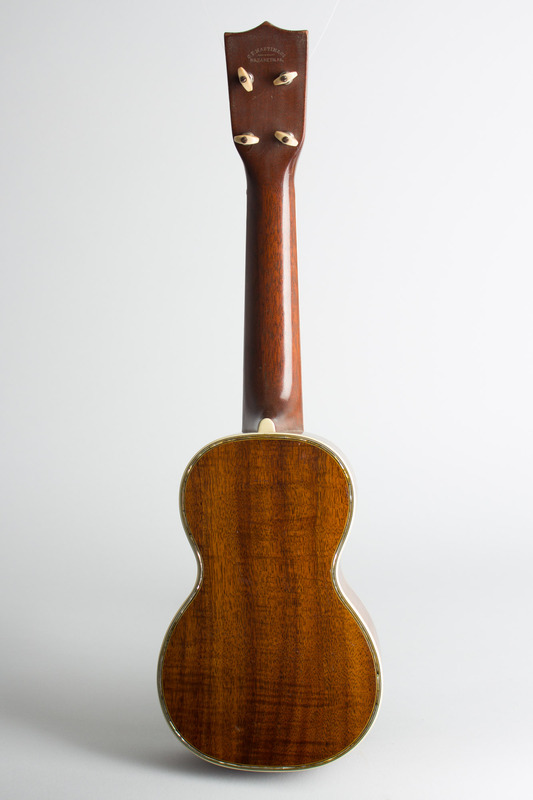 This particular 5-K is a fairly early model (it was introduced in 1923) with the older-style thin varnish finish, which enhances the sound quality. 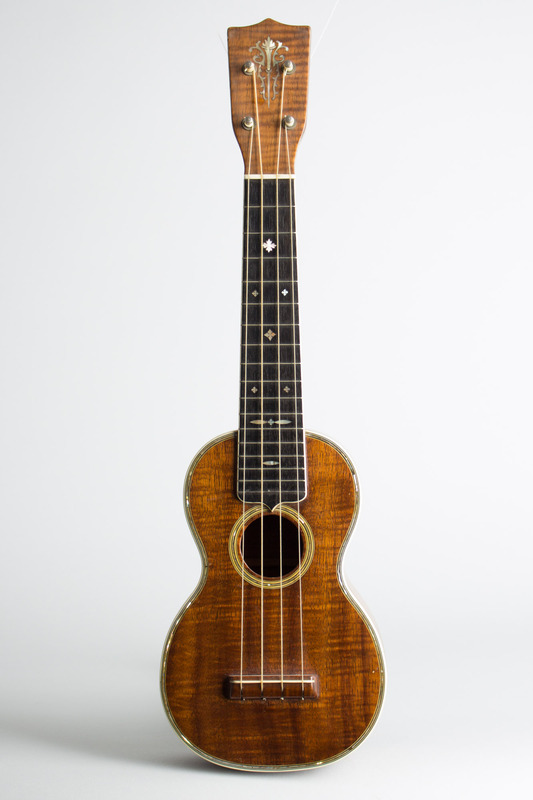 Currently strung with authentic gut strings, this wonderful uke is a veritable trip back in time to the 1920s. 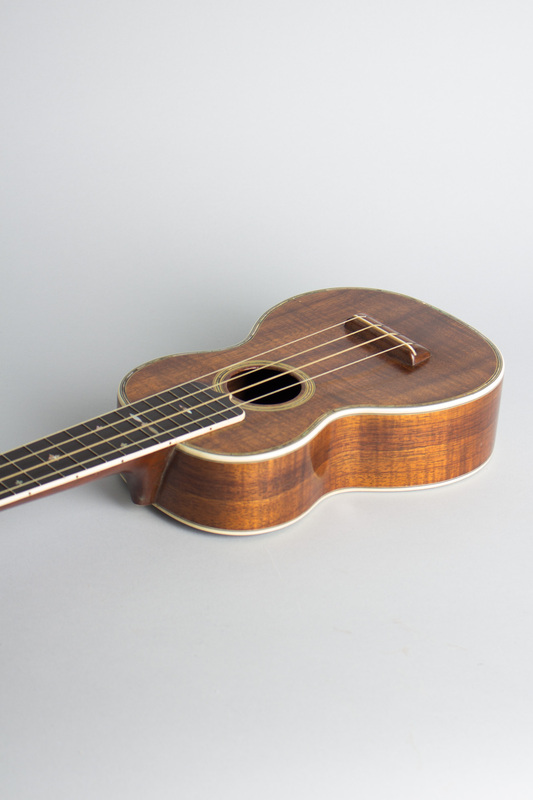 The world's finest ukulele then and now. Overall length is 20 7/8 in. (53 cm. 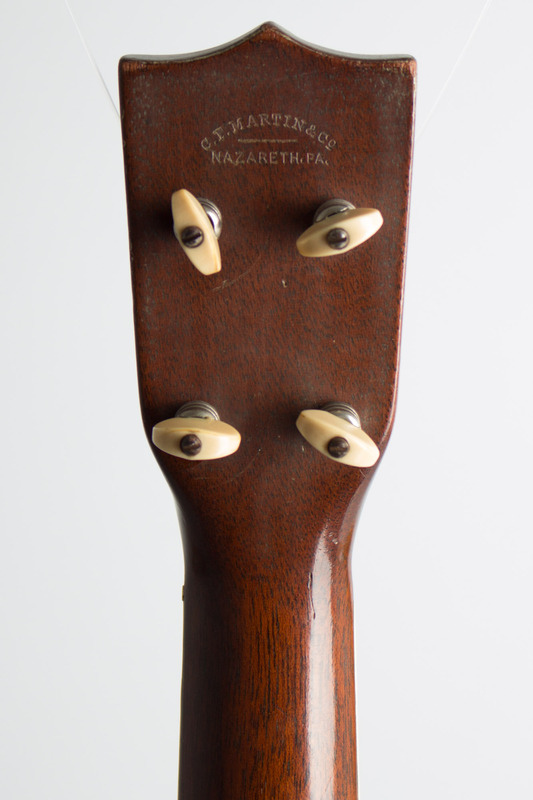 ), 6 1/4 in. (15.9 cm.) wide at lower bout, and 2 1/4 in. (5.7 cm.) in depth at side, taken at the end block. 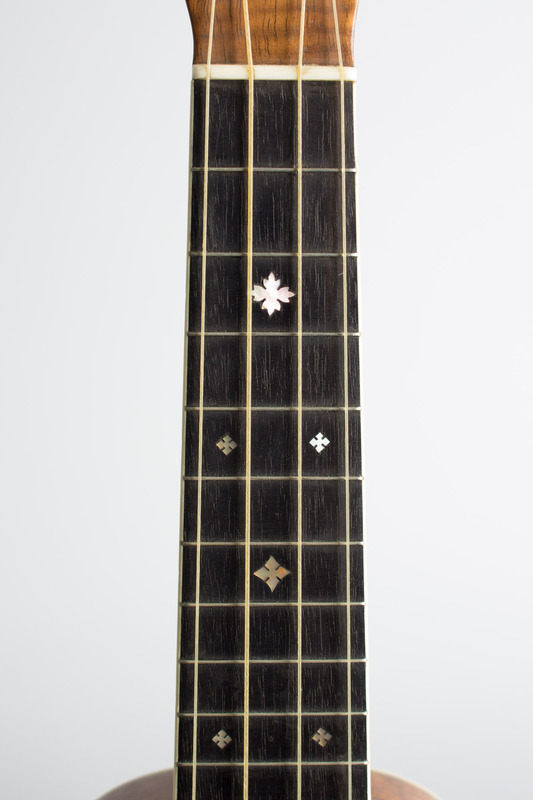 Scale length is 13 7/16 in. (341 mm.). Width of nut is 1 7/16 in. (36 mm.). 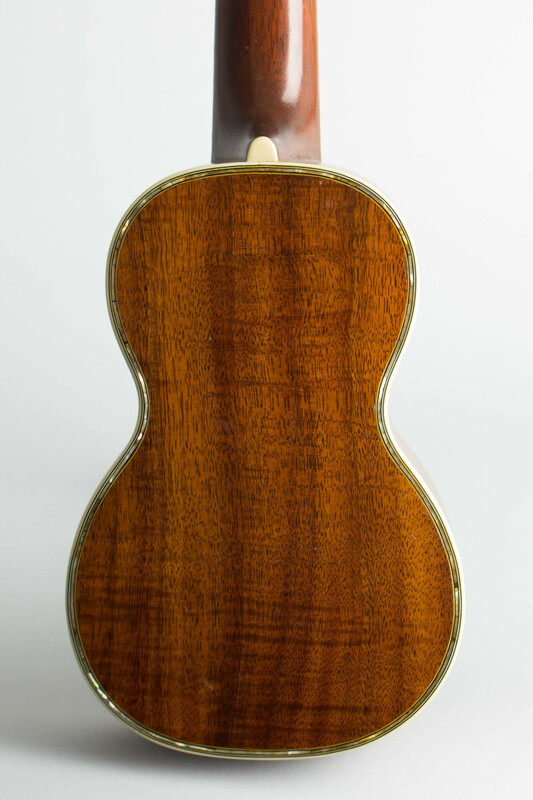 Some very small areas of wear, but overall very clean and absolutely original uke. 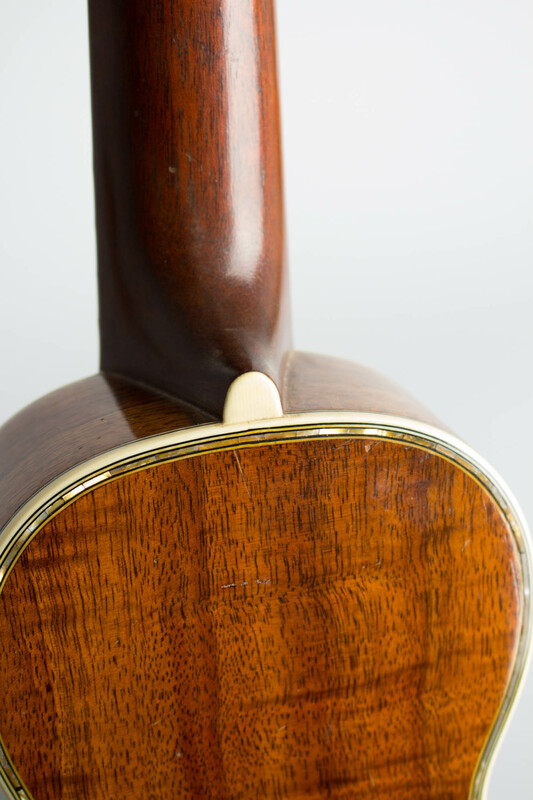 Several very small repaired grain cracks; the longest on the bass side in the waist, one on the back and the top and back by the bass side waist have tiny shrinkage cracks. The finish on the headstock has clouded somewhat; oddly typical of many Martin ukes of this period. 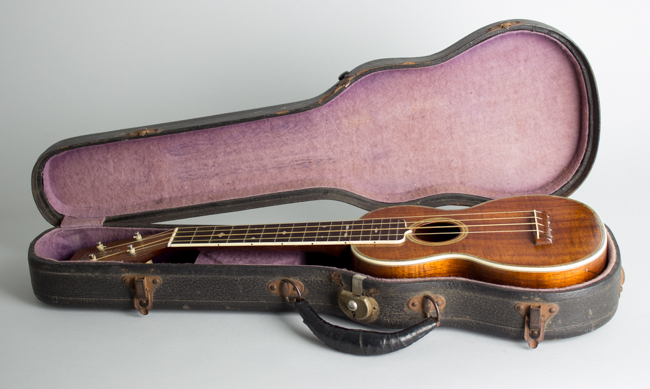 Overall an extremely fine example, with the original violin-style hard case with purple lining.